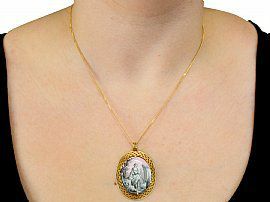 This exceptional, fine and impressive antique pendant has been crafted in 18ct yellow gold, mother of pearl and enamel. 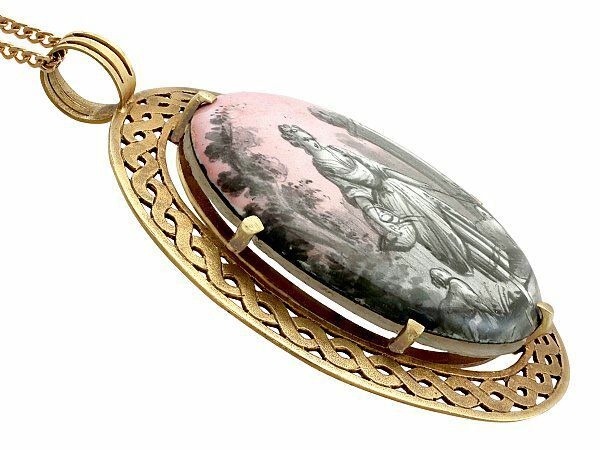 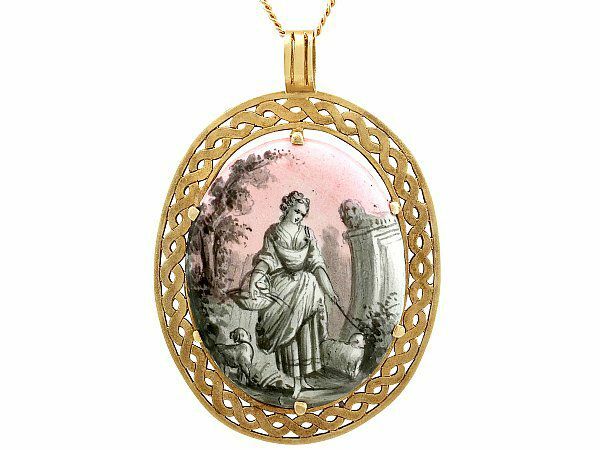 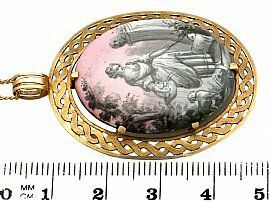 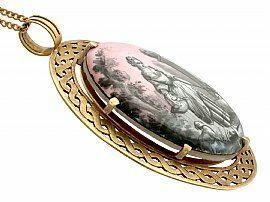 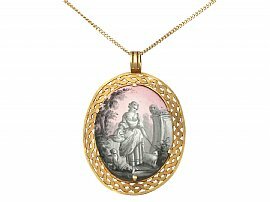 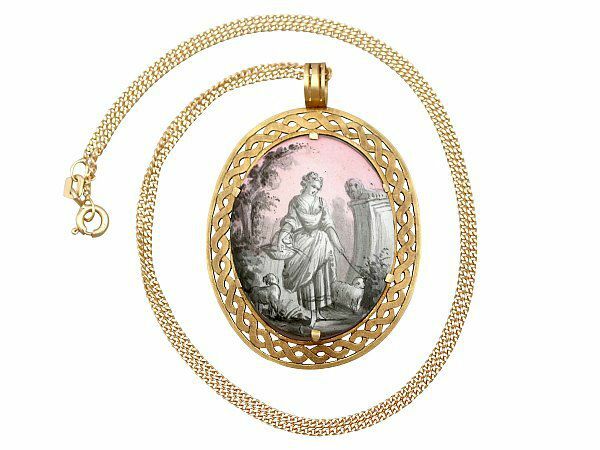 The pendant displays a feature hand painted miniature enamel and mother of pearl plaque depicting a pastoral scene of a young lady in period, peasant dress strolling barefoot in the countryside, accompanied by two dogs. 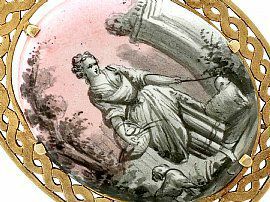 The miniature is simply painted in subtle shades of grey and delicate pink. 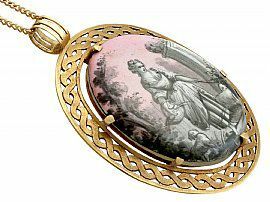 This exceptional antique enamel pendant is held within a feature pierced decorated interlacing 18ct yellow gold oval frame. The reverse of this French pendant is plain and unembellished apart from the French gold guarantee mark (eagle's head) struck to the frame. The pendant is suspended via a pierced decorated ring loop attachment to the upper border from a contemporary 46cm/18", 18 ct yellow gold trace chain which secures to the reverse with a conventional spring loaded bolt ring clasp. 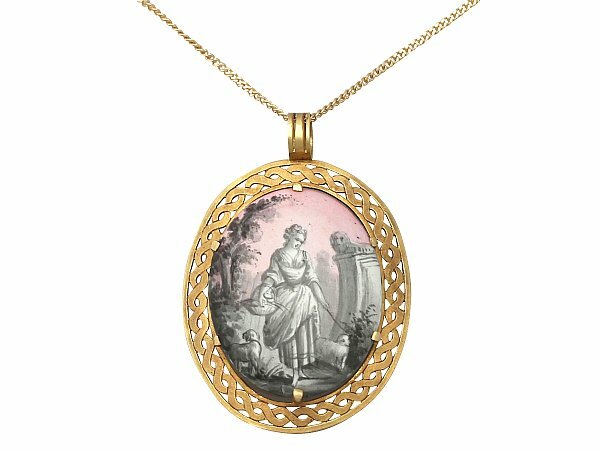 This exceptional and original antique pendant is fine quality displaying an impressive hand painted miniature pastoral scene. The pendant is a very good gauge of gold and in excellent condition with a very clear French hallmark to the reverse. 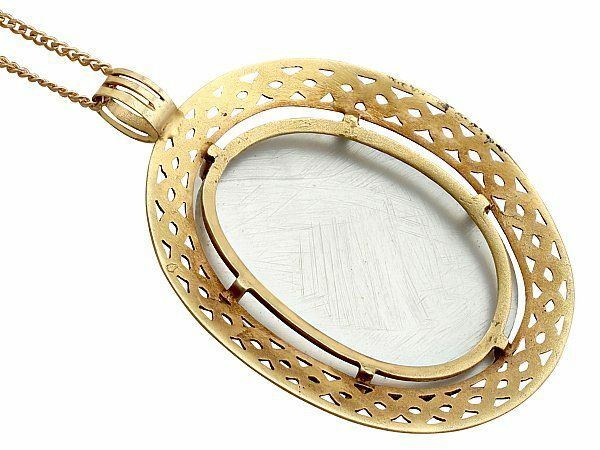 Total length of drop 4.7cm/1.85"